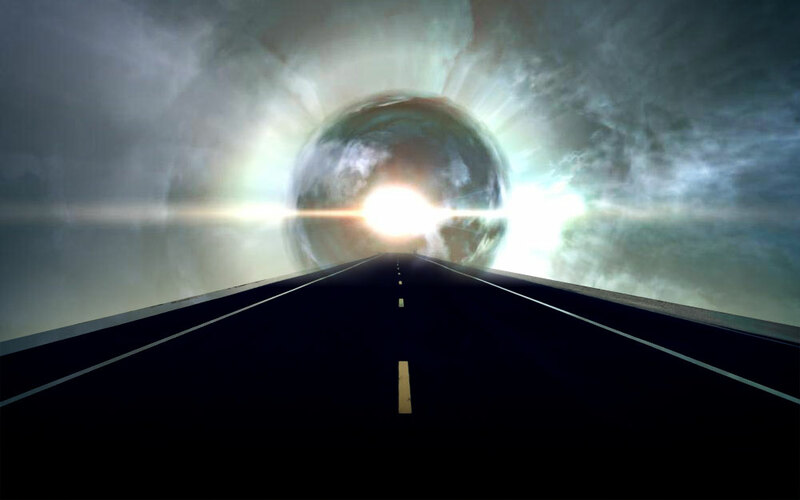 Wormholes: The New Post-Phoebe Superhighway? If you haven’t read the dev blog about the long-distance travel changes coming in Phoebe, then you’ve been living under a rock for the last few days as it is currently the talk of the town (warning: tears) on the forums. These changes are huge for nullsec, lowsec, and anybody who ever uses a jump drive or a jump bridge. I think the changes will have an interesting effect that wormhole residents should be very excited about – the use of wormholes as shortcuts for travel. Some people on the forums have already brought this up and discussed the concept a bit, and I think there are a couple aspects of this theory worth looking at. Once these travel changes are live on TQ, the ability to jump ships across great distances will be greatly diminished, but the need to do so will be as present as ever. CCP is looking to disrupt force projection by null and lowsec entities to help shake things up in a currently very stagnant nullsec. The new jump fatigue and jump cooldown system is going to hinder the ability to move capital ships in the manner to which players are accustomed. While the current numbers for fatigue calculations are likely to change in the next few weeks the result will still be the same: it will be harder to move capitals across great distances in any reasonable amount of time. Players will need to find an alternative method of moving their ships across the universe, and I think many of them may turn to wormholes to do it. Now, a cap-capable wormhole will only allow three capital ships to pass through it before collapsing, so if you are looking to move a massive fleet of capital ships (something something apex force) you won’t be able to do it via w-space. However, a player looking to move his own capital ship(s) may turn to wormhole space for a quick method to get across EVE. Or a small corporation looking to move a few capital ships might try taking them through w-space. This could lead to more capital-sized traffic in wormhole space and hopefully more capital-sized fights and kills. Players will also likely feel better about jumping out of a wormhole into nullsec or lowsec and picking fights with the locals. Currently, you have to worry about the possibility of a hotdrop turning a fun fight into an unfun blob. While I don’t think hotdropping will ever completely go away I think you will either run into it less often, or the number of caps getting dropped will at least be smaller. Pilots have to worry about jump fatigue inhibiting their ability to make future jumps, and a corporation or alliance may not want their members building up jump fatigue on a silly hotdrop if they might need that pilot to make jumps for a deployment soon. This could lead to more roams into null and low for w-space residents, or to k-space residents making use of wormholes to get to low and null. Using jump bridges will also cause you to accumulate jump fatigue in the same way that using a jump drive does. This means making use of the extensive jump bridge networks that nullsec entities have will not always be ideal. Players will need to manage their jump fatigue by using jump bridge networks only when completely necessary (during fleets or CTAs, for example) and will need an alternative method to travel without them. What better way to cover a great distance in EVE than wormholes? There is also another smaller change to medical clones that will have an effect as well: you will no longer be able to move your clone to a station in which you are not currently docked. This will prevent people from “suicide cloning” to get across the universe. Wormholes are already a very quick way to travel but this change will get rid of one of the alternatives. This means you may end up seeing more people traveling around through wormholes to get across large areas of space. Since people can’t jump capitals around as easily anymore they will possibly try to leave ships and caps where they think they may need them (referred to as a cache by CCP, and by players.) This would mean players need to either jumpclone around to get to their cache system or they have to travel there the old fashioned way. W-space residents could potentially see an increase in traffic in the wormholes in their chain. From a PvP standpoint this is great news, though the w-space bears might be upset by this. It’s hard to know what sort of impact these changes will have on EVE, but it seems CCP is willing to make big big changes to the game in order to shake things up. An exciting aspect of the six-week release cycle is that changes from one release will have added consequences once we get changes in a future release. I’m looking forward to the longer chains that Hyperion brought us hopefully helping us to run into players moving capitals and subcaptials through w-space. It will also be interesting to see how players with less wormhole experience handle the mass-related jump mechanics if and when they do move a capital through wormhole space.